Last week I joined Ashley Goldsmith, our chief human resources officer, in an all-hands Workday HR team meeting. I appreciate any opportunity to hang out and talk shop with Ashley and her team, who do an amazing job of bringing the best and brightest people to Workday while also delivering on global programs that support our wonderful culture. 1. It’s an Employee’s Market. The Bureau of Labor Statistics reported Feb. 6 that there were 257,000 jobs added in the United States in January. Incorporating strong job growth in December and November, the U.S. had its biggest three-month job gain in 17 years. Broadening employment opportunities will lead to more job hopping, requiring organizations to put even more focus on hiring and retaining people. Rather than fear this challenge, organizations should see it as an opportunity to really know and understand current team members and the dynamics of the broader workforce. Are there top performers who are unfulfilled and wanting a new challenge? Managers should be trying to find this out and determine whether it’s time for a promotion or new opportunity for them. Is there a potential skillset shortage for a new region or business initiative? HR needs this knowledge way ahead of time, and the information to decide what to do about it. 2. More Workers are Free Agents. The idea of the traditional workforce continues to diminish across the globe as the number of contingent, intermittent, and seasonal employees increase. In cities and regions where competition for talent is at a premium, organizations have accepted the harsh reality that long-term company loyalty is no longer a realistic expectation. As a result, the definition of “team” is changing as many organizations vigorously pursue project-based hiring. Business leaders need to know how to best source and manage short-term project teams as part of this changing makeup of the workforce. 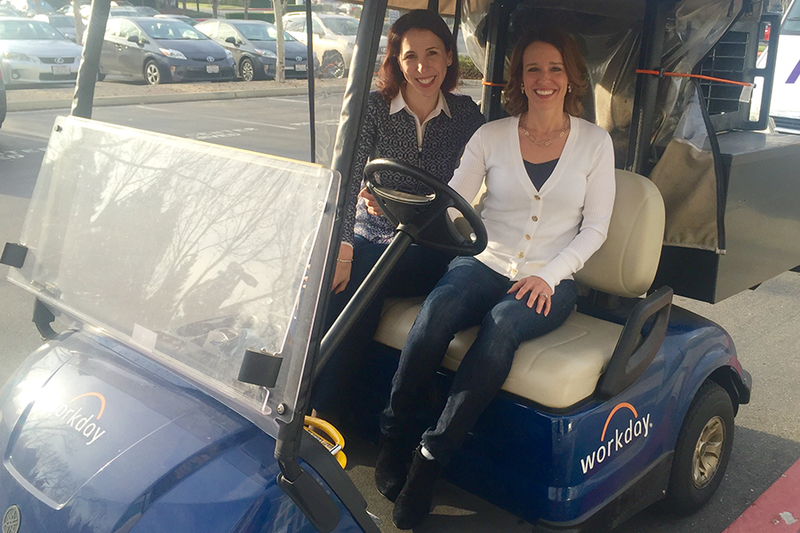 Ashley Goldsmith and I last week with a popular form of transportation at Workday headquarters. This is a lot to think about and plan for, but I know our customers and internal customers will leverage their collective smarts, ingenuity, and Workday applications to take on any workforce challenges that come their way in 2015. Carpe diem!